This morning, as I allowed myself to be still during our school’s customary moment of silence, a song from my childhood came crashing in. If you’re familiar with that song, you know it's the same line over and over. It’s easy to sing and it’s one of those songs that embeds itself deep into a child’s heart. Younger me didn’t necessarily understand its meaning, but it brought me comfort nonetheless. Some mornings I wake up with a song in my head, a gift from God whose mercies are new every morning. There’s just something about a song in my mind that flows to my heart and allows me to meditate on His goodness first thing in the morning. Other mornings I wake up with no song. Only my thoughts. I’m so tired. How many days until I can sleep in? Lord, I haven’t even rolled out of bed and already I’m dreading the day ahead. How will I make it through what’s waiting for me at work today? My quiet time rolls around and I force myself to sit still and praise the one who gave me life and every good thing. It’s this act of thankfulness that brings a song back to my heart. Every morning He seeks me out, but I have to tune in to Him. True joy cannot be swayed by our circumstances, our possessions, our friendships, or all sorts of external things. Joy comes from a deeper place. It’s a fruit of the Spirit. It’s a gift in difficult times and refuge from the cares of life. It’s light in the darkness. 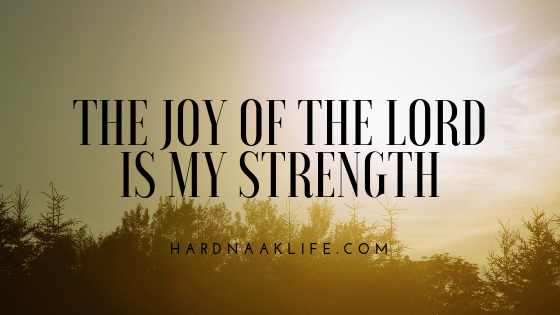 Joy satisfies the heart. If I’m being honest, sometimes it really hasn’t been my day, my week, my month, or even my year (thank you, Friends theme song). It’s easy to dwell on the bad and feel so disheartened. The good news - no the GREAT news - is that joy is a product of the Holy Spirit working in us. It is joy unspeakable and full of glory (1 Peter 1:8) that helps us through each day. We know that trials will come, pain is inevitable, and brokenness is always present, but the words of Psalm 30:5 bring peace. Weeping may stay for the night, but joy comes in the morning. Can I get a yes and amen? Paul tells us in Romans 8:28 that God works everything for good. The good he is speaking of is our spiritual growth, our sanctification. It’s us becoming more Christ-like. When we abide in Him, our trials are still present, but they are bearable because joy and peace rule our hearts. Our trials are dwarfed by the power of our God. 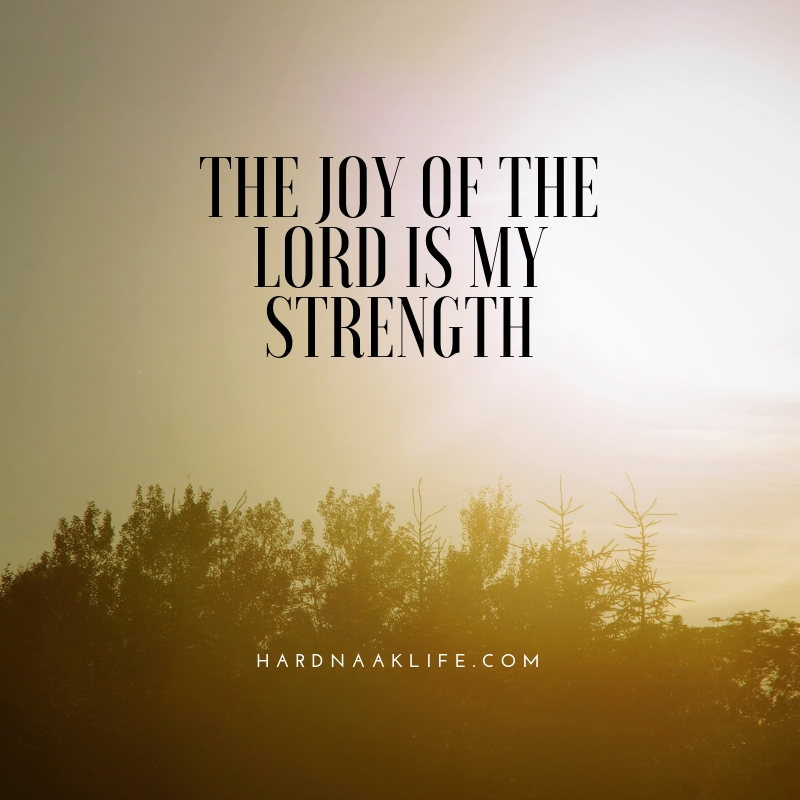 In times that can be so stressful, so full of the enemy’s attacks, the joy of the Lord is our strength. It allows us see the good in others, laugh in the midst of trials, smile through adversity, and trust that joy really does come in the morning. I love this. Thank you for sharing your heart. 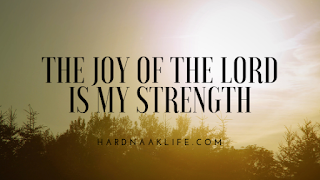 The joy of the Lord is my strength is a solid truth we can rely on! What a great mantra to just carry us through the dark days, the weary days, but also the bright and sunny days. thanks for sharing. Joy definitely is a life changer! 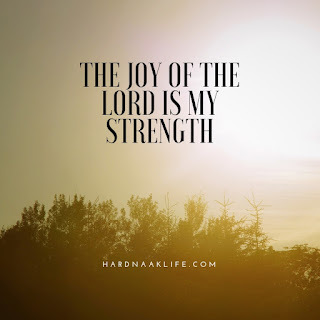 Yes, nothing can change the joy that only Jesus can give. Thank you for this wonderful reminder!